There is much hype about chatbot development, and a lot has been said about different chatbot platforms that are available now. However, Google Chatbot platform - Dialogflow (earlier API.AI) - still maintains a low profile. Google’s dominance in the technology discipline doesn’t need any introduction. Hence, it would be imperative to dig into the capabilities and features of a chatbot built with Dialogflow. Learn top 6 reasons to make use of this Google Chatbot platform. Built-in natural-language processing (NLP) feature imparts artificial intelligence (AI) to the chatbot, thereby enabling it to process the natural language (received through chat or voice) and carry forward the conversation in a natural way. It’s this cognitive capability that distinguishes the AI chatbot from the normal chatbot that operates on simple pre-defined rules as coded into it. A chatbot developer integrates this natural language processing capabilities to applications, services, and devices. The output data can be in the voice or chat format as per the requirement. Machine learning makes Dialogflow intelligent enough to predict the hidden intention expressed in the natural input language. A Dialogflow chatbot can map the user’s query with the database available with its backend server. The mechanism of mapping is called as “Intent.” Interestingly, it does so, applying several permutations and combinations. This is a remarkable feature as users ask the same thing in multiple ways, so it’s the responsibility of the chatbot to understand and serve them correctly. 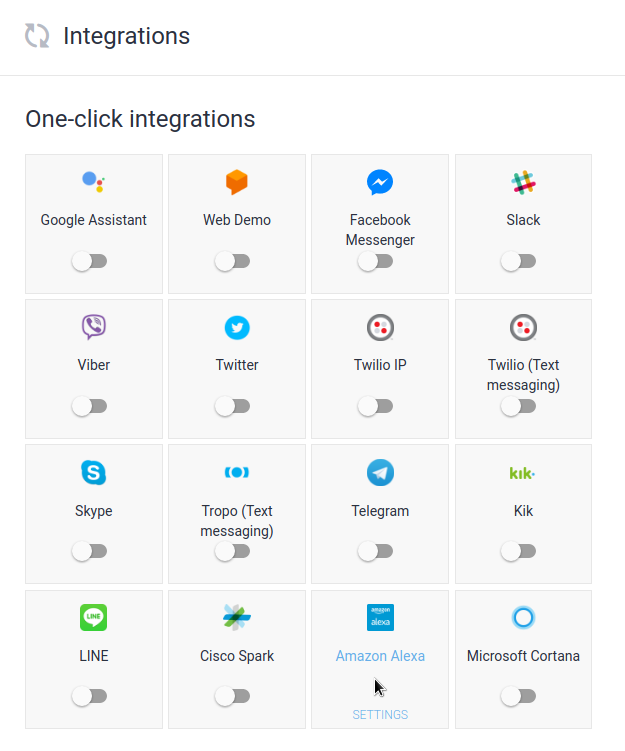 A chatbot created with Dialogflow can be deployed, as of now, with as many as 16 platforms. Thus, with Google Chatbot development, businesses can target a widespread audience with least effort. The one-click integration eases the job of chatbot developers. Dialogflow helps with creating a device-antagonistic chatbot. Thus, it engages with users on wearables, phones, cars, speakers and other smart devices. So, businesses can connect with their prospects or customers anywhere, anytime. Dialogflow supports 14+ languages, including Brazilian Portuguese, Chinese (Cantonese/Simplified/Traditional), English (Australian/Canadian/Great Britain/ Indian, US locale), Dutch, French (Canadian locale/France locale), German, Italian, Japanese, Korean, Portuguese, Russian, Spanish and Ukranian. Thus, leveraging Google chatbot platform, businesses can transcend the barriers of geographies and conduct business anywhere on the planet. Similar to mobile app analytics, technology owners can track the performance of their chatbots. The integrated analytics tool can read the session or engagement details including usage patterns, latency issues, and high- and low-performing intents. The intelligence serves as a guiding principle for businesses to further improve their chatbot. Brands of varying sizes and types are utilizing Google’s chatbot platforms to engage with their audience. Comcast, KLM, The Wall Street Journal, Panera, Giorgio Armani, Hubspot, are a few to name. A chatbot created using Dialogflow can perform a myriad of tasks as mentioned below. Thus, a Dialogflow chatbot is apt for various industries, including entertainment, restaurant, travel, and others. 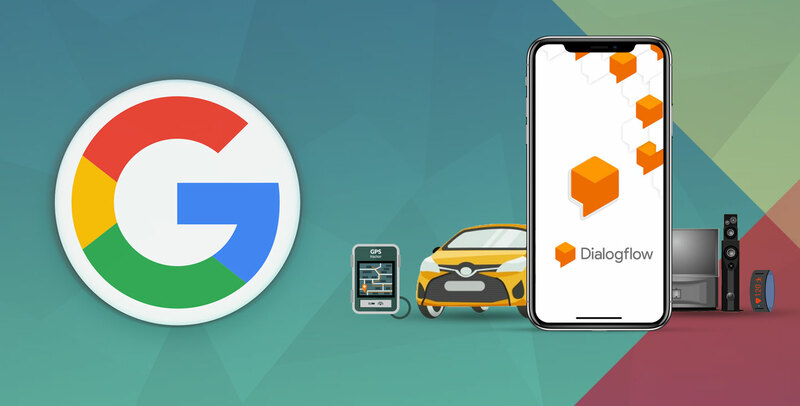 Thus, with Google’s Dialogflow, businesses can target and engage with their prospects or customers anywhere on any device. However, a chatbot developer must be acquainted with the platform-specific SDKs to make the chatbot compatible with the particular web or mobile frameworks. As of now, Google extends its support for 17 technology platforms including Android, Cordova, Botkit, C++, iOS, Node.js, Python, to name a few.